← What causes Mold and Mildew!!! The term curb appeal is mentioned a lot when selling our homes. You can do anything from MASSIVE remodels to something as easy as putting in planter boxes. One thing that we take A LOT of pride in at Renew Crew – Johnson County is that we can also add curb appeal to your home in many different ways. It could be as easy as cleaning and protecting your siding by getting rid of the mold, mildew or dirt to restoring a wood siding home back to its true cedar look. One of my favorite and most dramatic changes that few ever think about is the concrete or hardscapes leading up to your home. Concrete cleaning and protection is one of the least expensive processes in our arsenal, yet still gives very dramatic results. And not only are we removing the stains of age from your concrete, we are also protecting it from breaking down by limiting the amount of water getting into it. One story I like to tell clients to stress this is about how when making up samples I put water on areas of a concrete paver that we had treated. One area had our wet look, one our natural and another with nothing done to it at all. After letting the water soak into the area with nothing done I wiped off the water from the other areas then proceeded to put the sample on the ground. While doing this I broke the sample where the water had soaked into the concrete. I was AMAZED at how far the water had soaked into the sample. And I am not talking a ¼ of an inch, it had past ¾ of the way though the sample. This was proof positive in my mind that what we do is not only aesthetically beneficial to our clients but creates a water barrier that is necessary to keep it from breaking down. 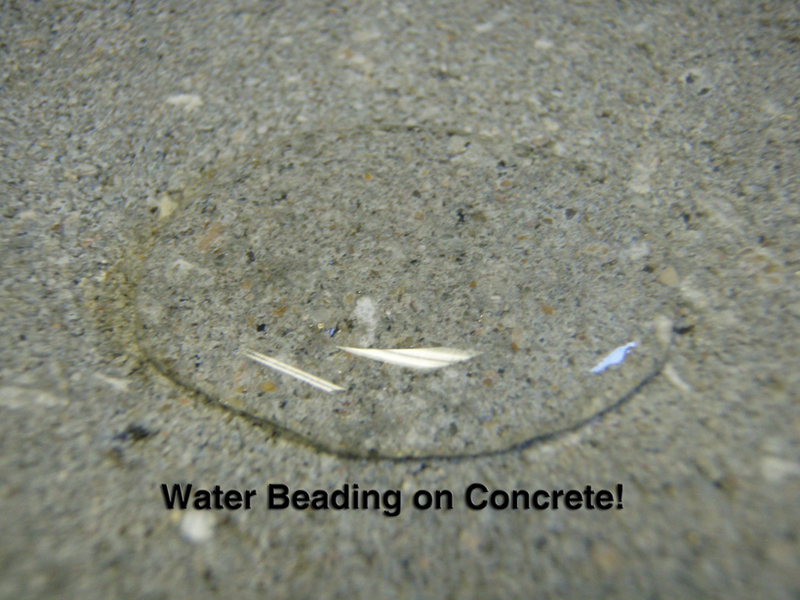 By keeping the water that gets into the concrete out we are limiting the amount of cracking and spalling that happens over time. And while we are also protecting your concrete we are making it look like new again and keeping it that way a lot longer. Another of my favorite curb appeal projects we do is Hardscapes. One of the things that I have noticed is that many people see their Brick/Paver patios fade over time and have not really notice because it was such a gradual process. Or they purchased the home not knowing the beauty that their stone driveway or patio once had. As with anything outdoors mother nature will takes its toll and if it is not protected it will fade, mold or just break down. Not too long ago you had two options, to live with it or remove the pavers and start over. Now with Renew Crew – Johnson County we can enhance the color and bring back that new look that you once had all without removing and replacing the patio. And once again not only are we giving you beautiful curb appeal we are also protecting it so that it will not happen again. Many people know a picture is worth a thousand words and I am a strong believer of that so everything that I said today I am going to show you as well. So just look at the photos below and see how Renew Crew – Johnson County can help bring back that curb appeal to concrete and hardscapes. And watch for more information about how Renew Crew can help you with YOUR curb appeal. 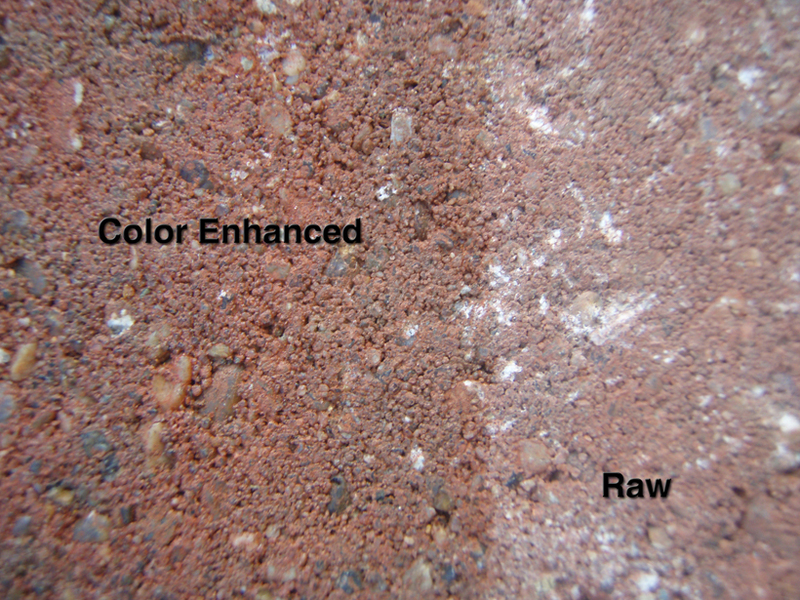 Paver Before and After color enhancement. This is the sample where the water has sucked 3/4 of the way into. 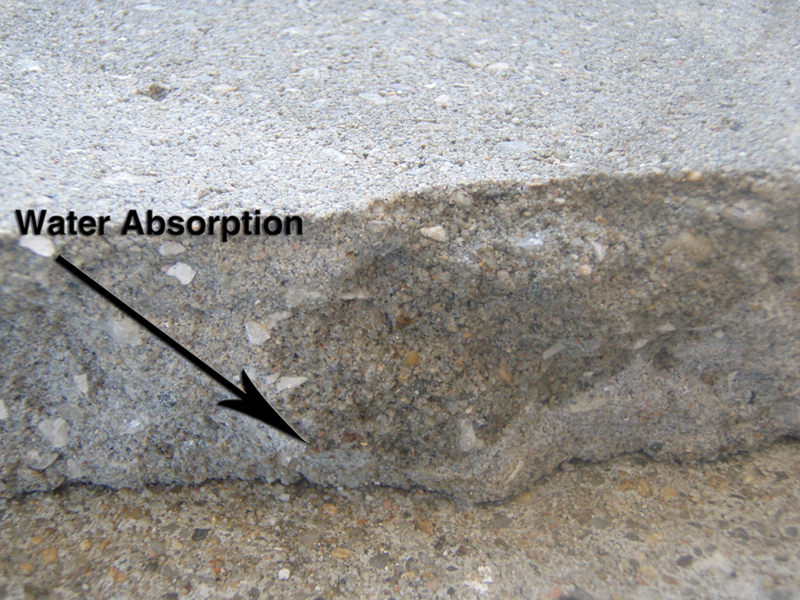 This is a sample of treated concrete with water applied. This entry was posted in Uncategorized and tagged Angie's List, Business, Concrete, Concrete Cleaning, County, Curb Appeal, Hardscapes, Home, Johnson, Patio, Paver Cleaning, pavers, Restore, Selling a House, Water. Bookmark the permalink.